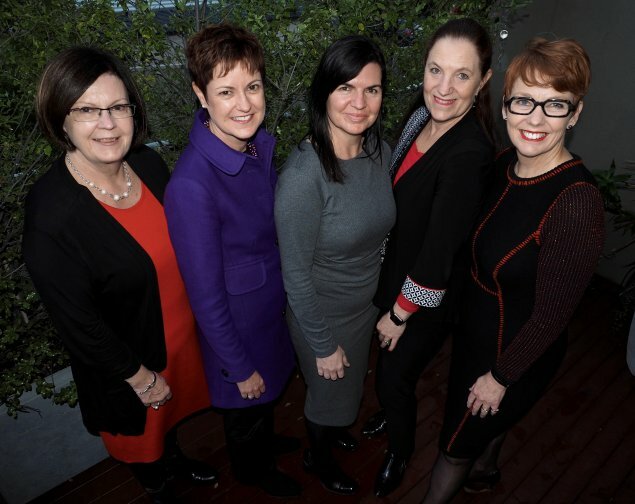 Five powerhouse Canberra businesswomen, all good friends, have teamed up to support those doing it tough by participating in the Vinnies CEO Sleepout. This important event is taking place at Questacon tonight, 23 June 2016. The event often sees high-profile business leaders sleeping out on the street to help raise awareness of the serious problem that is homelessness across Australia. All funds raised for the CEO Sleepout will provide vital assistance to people experiencing homelessness. The team, Five Fab Fun Female Entrepreneurs hope to fundraise a total of $10,000, and they are well on their way, raising $8,230 to date. “It’s important for Canberrans to help break the cycle of homelessness in the ACT and across Australia. This time of year has most of us reaching for an extra blanket to warm our beds. A luxury too many people do not have,” says Diana Forrester, Director at OPF Consulting. The Five Fab Fun Female Entrepreneurs team includes Melanie Kontze and Marianne Roux – Partners of Silverstone Edge; Shelley Thomson – CEO of Retail360, Diana Forrester – Director OPF Consulting and Anne-Marie Cooper – Director AMC Consulting. These women, who all now operate their individual consulting businesses, are leaders in their particular fields. They are participating in the CEO Sleepout because they are passionate about the issue and hope their efforts will also help to raise awareness of the numbers of women who are experiencing homelessness. “To help raise as much money as possible for this great cause our team received a stunning white pearl necklace, featuring White Keshi Pearls, which we are auctioning. This beautiful piece, gifted by Jane Brown Pearls, is valued at $995.00. We encourage you to bid for this prize and support this great cause,” Diana concluded. Click here to sponsor the Five Fab Fun Female Entrepreneurs or to make a direct donation for the cause. Pictured from left to right: Anne-Marie Cooper, Shelley Thomson, Marianne Roux, Diana Forrester and Melanie Kontze.